Not only is Blue Dream a hybrid but it’s also one of the best tasting strains that are out there. 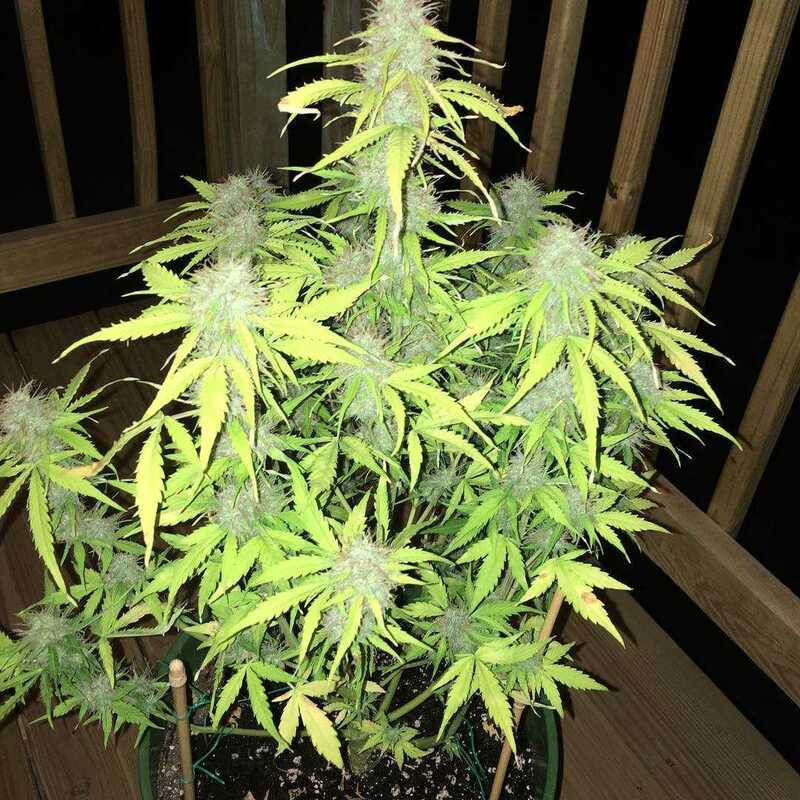 You might think after seeing the nearly-neon green buds that it’s going to be harsh, but the smoke is so smooth it goes down just as easy as blueberry pie. It even tastes like it! 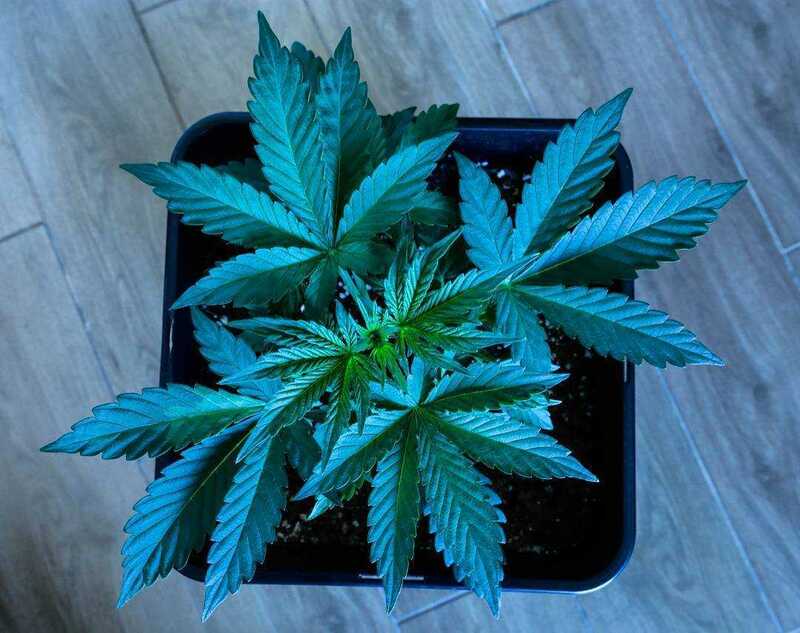 Sporting a fitting name if ever there was one, Blue Dream Auto’s moniker references its beautiful colouring, its easy growth, and its vivid dreamlike effects. 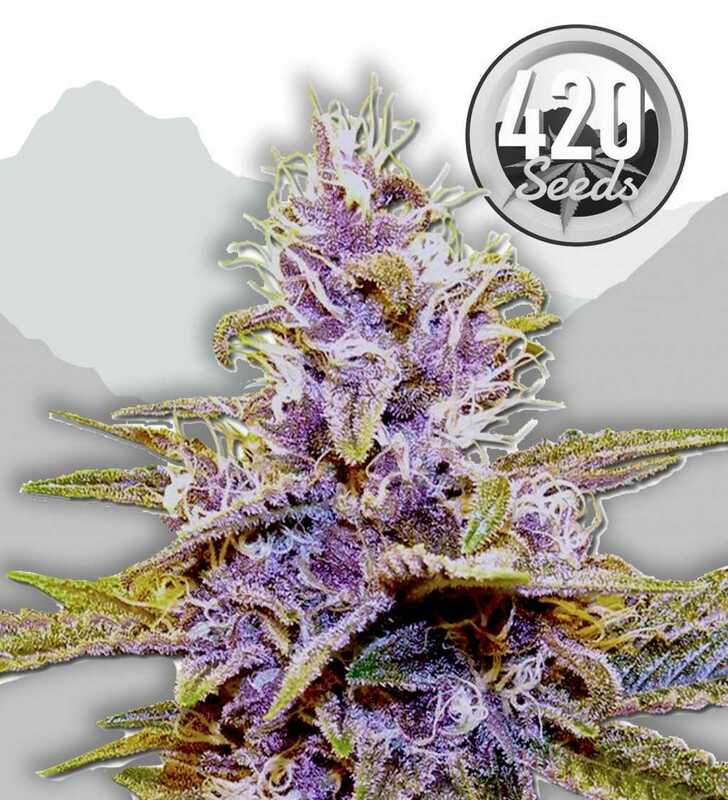 Developed by crossing Blue Dream with a ruderalis, 420 Seeds have taken the best of the original strain and imbued it with some much-appreciated autoflowering properties. Contrary to what might be expected, the strain lost very little when earning the ‘Auto’ in its title, retaining the goodness of Blue Dream while making it easier than ever to grow this gem for yourself. It is because of how well Blue Dream Auto has kept its charm during its transition to an autoflowerer that it is among the top strains with ruderalis genetics for many. But even if its sublime effects and easy growth don’t capture your attention, you may still want to keep this blue-tinged wonder around for eye candy. Running at 15-20% THC levels, Blue Dream Auto will leave few complaining about its strength. As a hybrid it has a mix of sativa, indica and ruderalis genetics, with the 70% sativa proportion dominating the effects while allowing a more complex smoking experience due to its substantial indica side. Blue Dream Auto is no simple couch-lock sedative, making its sativa credentials evident from the start by offering a far more uplifting and even refreshing effect than the norm. Do not let such gentle-sounding descriptions mislead you, however, as Blue Dream Auto is powerful and long lasting. In place of a more typical lethargy is an all-over mental and physical buzz that energises, relaxes and potentially even motivates. This consequently makes Blue Dream Auto the perfect social strain. Under its influence conversation becomes effortless and natural, its effects coming on in swift yet easily manageable waves of relaxation. As the main body of the high drifts away you return gently and cleanly, making this one great strain for daytime use a nd occasions where one needs to remain active. Best enjoyed in a casual setting with friends and an appreciation for a good Haze-like strain, Blue Dream Auto is in no hurry to leave once consumed and can see you enjoying the whole evening even on rather modest amounts. This strain is a keen fan of the outdoors, and those able to provide the right environment will see Blue Dream Auto net them 600g per m2. Indoor growth is also another feasible option and can garner a very respectable 400g per m2. Fast and stealthy, Blue Dream Auto will find itself in the grow rooms, gardens and greenhouses of weed aficionados of all levels of experience. It boasts some very hardy genetics that have given it good disease and pest resistance, while its swift flowering time of 70-75 days minimises the time for any complications to arise. The plant definitely makes its sativa genetics known long before you get to try its buds, growing to ceiling-scraping heights typical of sativas. Despite this it fares well indoors, provided it is given good lighting and enough nutrients to satisfy its voracious appetite. Experienced growers of the strain recommend adding 30% of coco to its soil mix and watering it regularly and often in small amounts. Outdoors Blue Dream Auto does well in soil but seems to thrive especially well in greenhouses. Its tendency to grow tall and stretch out means some seclusion and privacy is advised, but those able to grow it outside and provide the right conditions will see themselves richly rewarded with a greater harvest. Its preferred climate is warm, dry, and typically Mediterranean, and those who do not live in such a location may struggle with outdoor growth. As the plant grows it will develop a large central kola, with tight internodes and long branching that aids evenly developed production. During development you may potentially see the plant turn the characteristic shades of blue, violet and silver it is known for. With its Blueberry ancestry it is hardly surprising Blue Dream Auto delivers such a wonderful taste. Its base seems to be a hash-like flavour, while atop this sits a rich mixture of blueberries among a range of other sweet and tangy fruity notes. Blue Dream Auto does not stop there, however. It is not known for its incredible flavour for no reason and in the mix you will find fleeting bits of pine, spices, incense, and a sharp citrus element that likely comes from the berry taste. With its rich, complex and satisfying taste it should hardly come as a surprise that Blue Dream Auto has an enticing scent to match it. As you breathe it in those elusive peppery notes that could only be peripherally detected in the taste come alive, letting you know this is far more than a splash of simple fruitiness. Visually the buds have all the beauty and mystique that you could want, with its elongated shape making an aesthetically fitting accompaniment to the rich deep blue colour it often turns. Finished off with a sticky resin coasting, Blue Dream Auto effortlessly promises what it has waiting in store.